On a profound and globe-spanning edition of After Hours AM/America’s Most Haunted Radio — scintillating paranormal talk Thursdays 9-11pE with hosts Joel Sturgis, Eric Olsen, and Heidi Hollis — we discuss the fascinating Smithsonian Channel program Sacred Sites, examining the secrets and mysteries behind some of the world’s most sacred and iconic religious sites, with Exec Producer Tim Evans. We talk with Tim at 10pE; at 9pE, Joel, Eric. and Heidi review the latest paranormal headlines from the America’s Most Haunted Twitter feed. From the alleged tomb of King Arthur to ancient Egyptian temples once controlled by female priests, the world’s most sacred religious sites are home to beguiling secrets and mysteries. 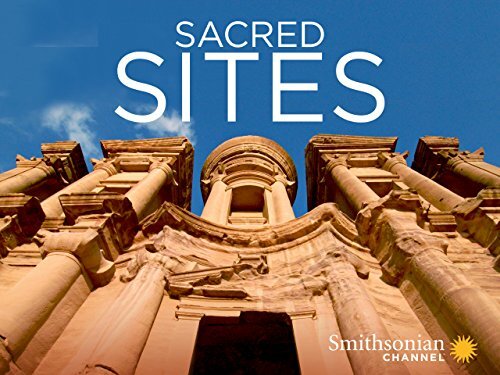 This Monday, August 13 at 8 p.m. ET/PT, Smithsonian Channel brings back SACRED SITES to explore more enigmatic religious sites found around the world. Featuring advanced scientific discoveries and archaeological research, new episodes will bring viewers to sanctified and historical locations stretching from Europe to North Africa, through the Mayan civilization in the Americas, across the path of the Camino de Santiago, and more. 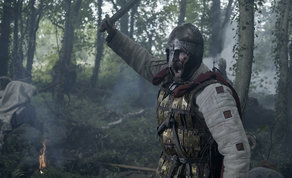 The second season premiere, “KING ARTHUR,” studies the myth of one of the most famous and legendary monarchs of all time. Legend says that King Arthur will return again one day to rule Britain, though many experts believe he was simply a mythical figure. Yet, in the last few years, new evidence from ancient sites across Britain suggests that this powerful legend is rooted in fact. This episode seeks to answer the question: was this storied King a legend, or real? 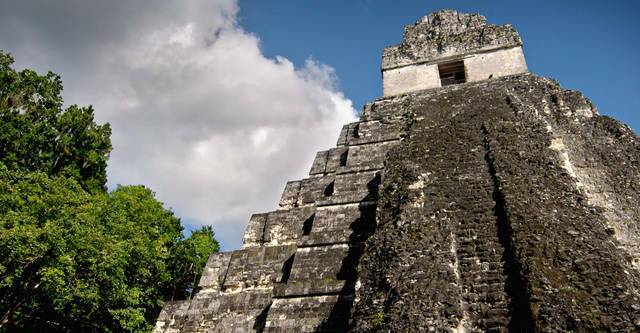 In the tropical forests of Guatemala and Mexico stand some of the most captivating sacred sites of ancient Mayan civilization. Scientists long believed these magnificent temples and pyramids were built to watch the sky, but new discoveries in the last decade reveal sacred caves and tunnels hidden beneath the pyramids. Using cutting-edge science, archaeologists identify the location the Maya revered as the most sacred temple of all – the mystical center of the world. With this discovery, this episode may unlock an incredible secret in the Mayan city of Chichen Itza. Every year, thousands of pilgrims travel the ancient pilgrimage route to Spain’s Santiago de Compostela. The sacred journey ends with a visit to the shrine that is believed to hold the bones of Saint James the Great – Apostle of Jesus. But new research and discoveries suggest that the Camino might have been a sacred pathway long before the Christian age and that the bones in the sacred shrine may not belong to James after all. Instead, they might be the remains of a controversial heretic seen as a threat to the very existence of the Christian church. In between the years 3600 and 2300 BC, an extraordinary civilization developed on the small Mediterranean islands of Malta. For almost 1,500 years, the sacred sites built by the temple people of ancient Malta were the pinnacle of Western Civilization. Around 2300 BC, their civilization collapsed and the islands were abandoned – for no apparent reason. The results of new archeological investigations may explain the shocking causes of this ancient apocalypse. Astonishingly, it may have originated not on earth, but in space. New discoveries reveal a hidden power structure in Egypt – one controlled by women. Archeology at Egypt’s sacred sites reveal a succession of female priests who were said to be married to the King of Gods himself – Amun. These priestesses held control and influence throughout the entire Egyptian kingdom. The temples of ancient Egypt conceal evidence of their mysterious sexual rituals. Now, archaeologists investigate these sacred sites to recapture their story and piece together the puzzling source of their power. A series of massive standing stones in Germany’s Teutoburg Forest formed the center of an ancient Germanic religion – or so the Nazi party claimed. Led by SS commander Heinrich Himmler, Nazi archaeologists attempted to uncover the sacred sites of a pure Aryan religion. From the site of German victories over ancient Rome, to a medieval castle associated with the Holy Grail and a prehistoric site of human sacrifice, the Nazi propaganda machine turned real discoveries into dark myths that bore little relationship to history. But their warped ideology would have catastrophic consequences for millions. Tim Evans is an executive producer with Smithsonian Channel, an award-winning joint venture of the Smithsonian Institution and Showtime. His recent projects have included Sacred Sites, Building Star Trek, Survival In The Skies, The Weapon Hunter, The Spy In the Hanoi Hilton, and multiple seasons of the series Air Warriors. Prior to joining Smithsonian Channel, Evans was a show-runner and director, producing hundreds of hours of nonfiction television for such networks as History, Discovery, National Geographic and American Heroes Channel. Among the projects he has created and overseen are Rocket City Rednecks for National Geographic, Seven Deadly Sins for History, and Battleground – The Art of War for Discovery. He lives with his wife and daughters in Northern Virginia.